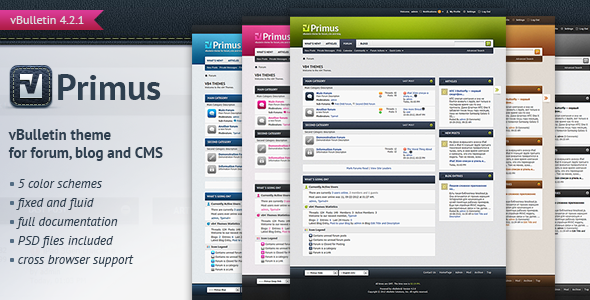 Primus is a vBulletin 4.2.4 theme that fully supports forums, blogs and vB CMS. It has colorful and attractive modern view with some skeuomorphic elements. The theme can be easily customized for you purposes.